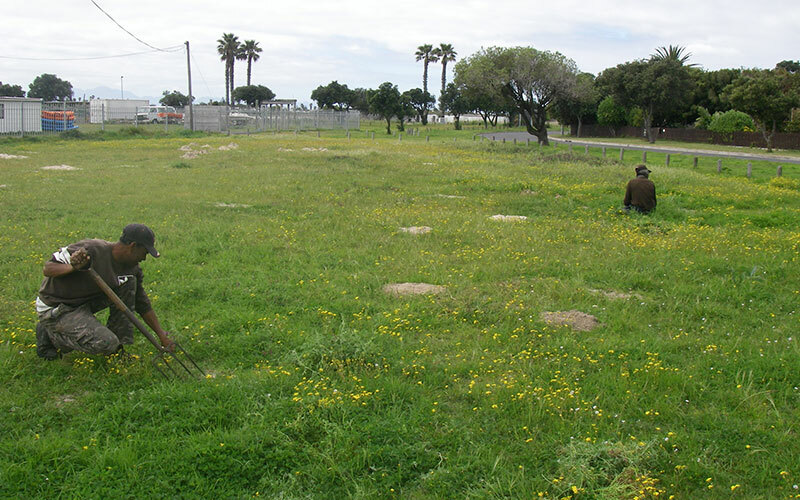 Members of the Zandvlei Trust have donated generously to the project to clear the invasive plants which are threatening the natural vegetation on the western side of the Zandvlei Nature Reserve. We started working on this project on 13 September and should take about two or three weeks for the immediate problem plants to be cleared. There are 3 populations of Psoralea glaucina in this section of the Reserve. Vicia or Vetch, Osteospermum monoliferum (Bietou) used to be Chrysanthemoides moniliferum and Morella cordifolium (Waxberry). Waxberry and Bietou are pioneer indigenous species that do become invasive if they have the right conditions. At present have three people working on this project. They are working under the supervision of Noel Kuiler – the gardener at the Westlake Garden. These workers are from the informal settlement called Village Heights.